The Internal Revenue Service and the Treasury Inspector General for Tax Administration (TIGTA) often hear from taxpayers who have received unsolicited calls from individuals demanding payment while fraudulently claiming to be from the IRS. Never asks for credit card, debit card, or prepaid card information over the telephone. 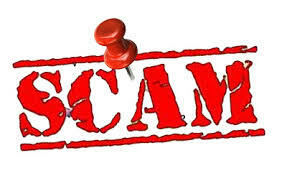 Taxpayers should be aware that there are other unrelated scams (such as a lottery sweepstakes) and solicitations (such as debt relief), that also fraudulently claim to be from the IRS. For more information or to report a scam, go to www.irs.gov and type “scam” in the search box. More information on how to report phishing scams involving the IRS is available on the genuine IRS website, IRS.gov. This entry was posted in Important Alerts, Preventing Identity Theft, Taxes and tagged Identity Theft Prevention, IRS Scam by VP of Marketing and Business Development Jessica. Bookmark the permalink.